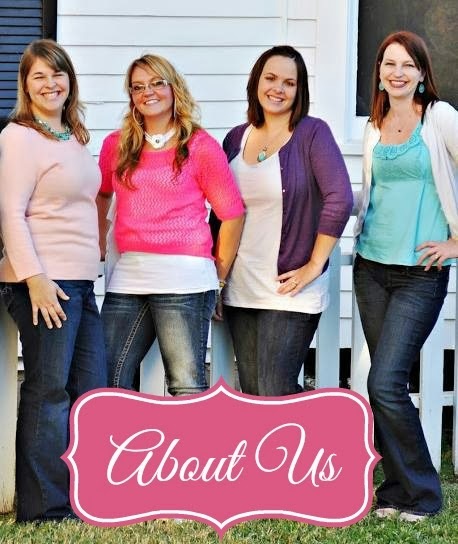 First I started by measuring how tall my daughter was. She is about 36" tall, so to create an empire waist dress, I cut the ribbons about 24" in length. I wasn't too picky about having each ribbon be exactly the same length because I liked the idea of the ribbons being a little uneven to make the dress more fun. And also maybe a little bit because that would've been more work and seriously, who has time for that?!. ;-). I then measured my daughter around her ribs to see how many ribbons I needed to cut out. She is about 20" around so with 2" ribbons overlapping a bit, I ended up cutting out 24 ribbon pieces. 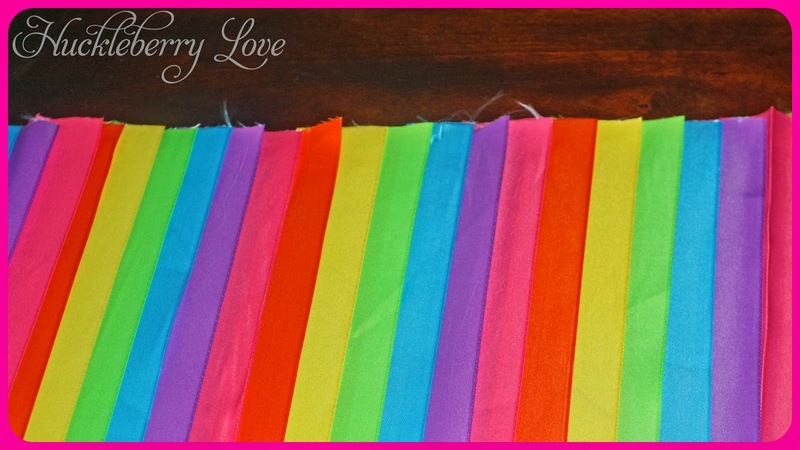 Once I had all of my ribbon pieces cut, I laid them all out in a row. 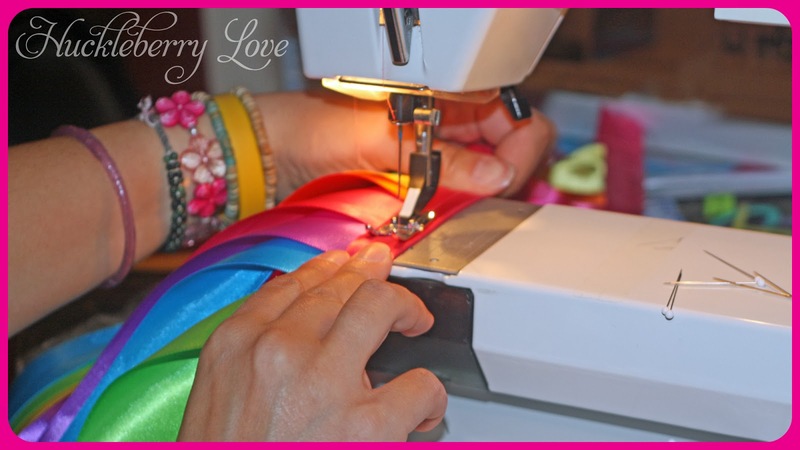 I then picked out the ribbon that would make the belt of the dress and also hold all of the other ribbon pieces together (in this case I used pink). Because I wanted to make sure all the pieces of ribbon stayed even and together while being transferred to the sewing machine, I used the hot glue gun to run a strip of glue along the top of the row of ribbons. 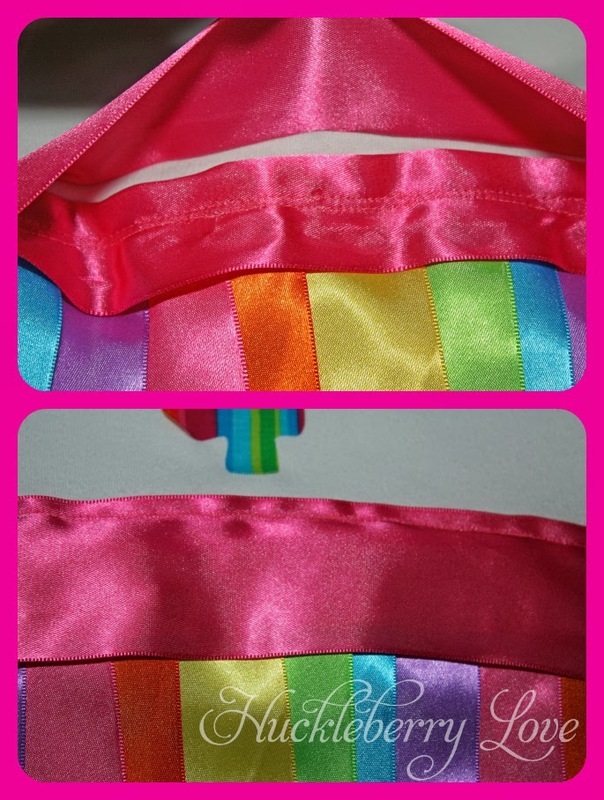 I then glued the pink belt ribbon across the ribbon pieces about an inch from the tops of them. 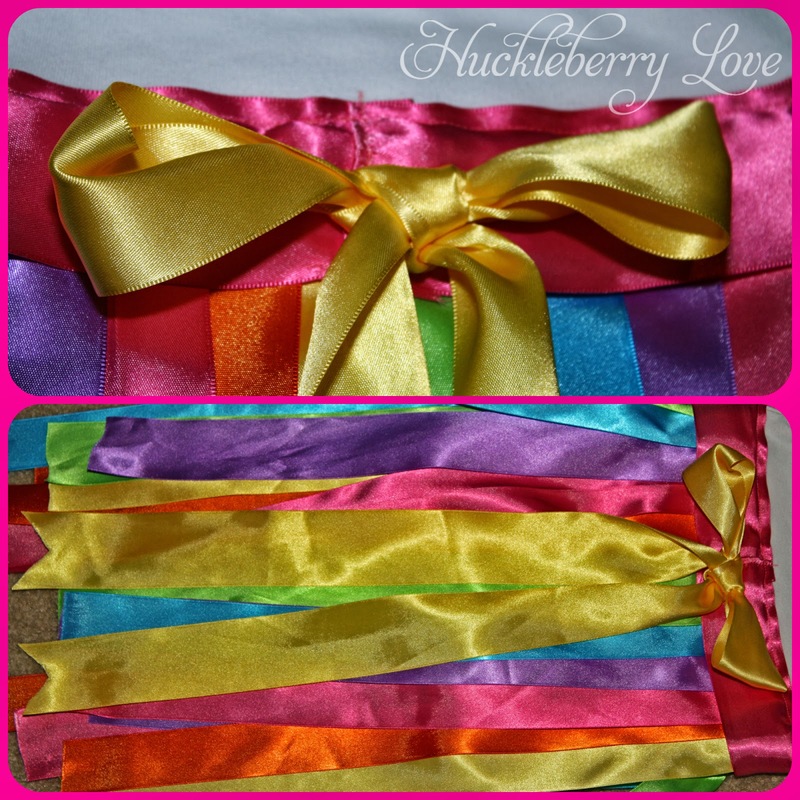 I made sure all of the ribbon pieces were secure and then folded the extra inch of belt ribbon over the backs of the ribbon pieces so that it held the ribbons on each side. And then I started pinning, in preparation for the sewing machine. When I had whole strip of ribbon pieces pinned down, off I went to the sewing machine to finish up the skirt part of my dress. 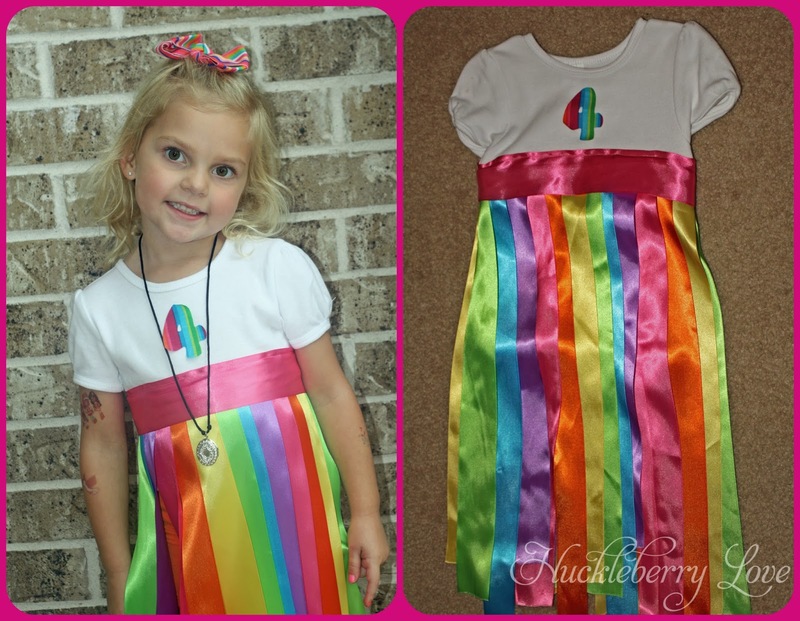 Next I sewed the skirt onto the t-shirt creating my dress. I actually did two rows of stitching to make sure that the skirt was very well attached. Having the dress be an empire waist dress ended up being a good idea as it kept the t-shirt fitted and prevented any bagginess. Once the skirt was sewed on and the dress was complete, I decided that I wasn't completely happy with how it looked. The dress needed a sash of some sort to cover up where the ribbon skirt was attached to the t-shirt. 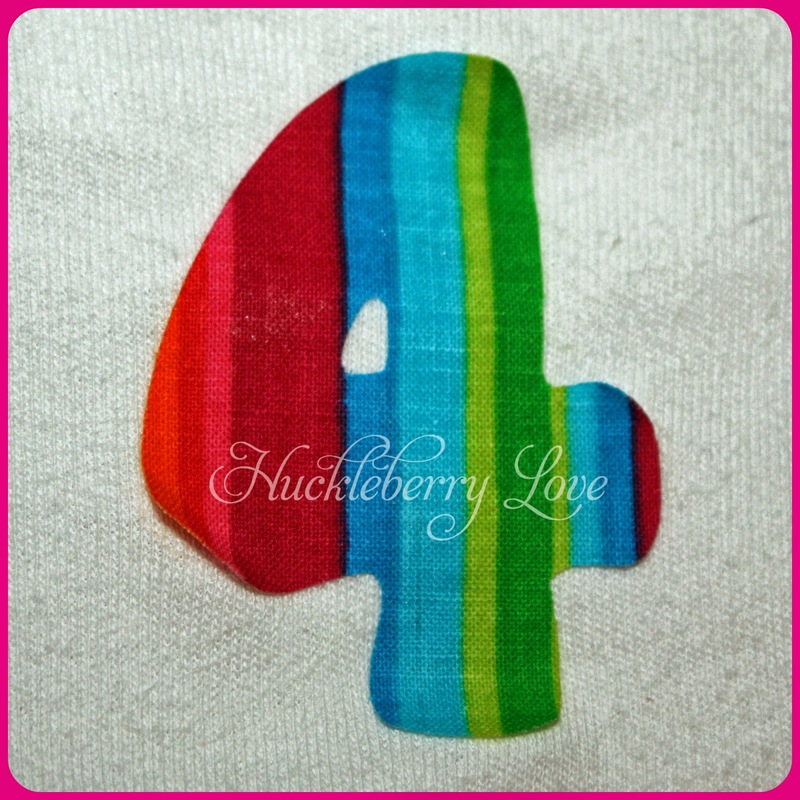 Because pink was my feature colour, I cut one more piece of pink ribbon to sew over top. I chose to sew my sash about 1/2" above where the skirt attached to the t-shirt so that it didn't look lumpy. I also decided to only sew the top of the ribbon to allow for more movement. 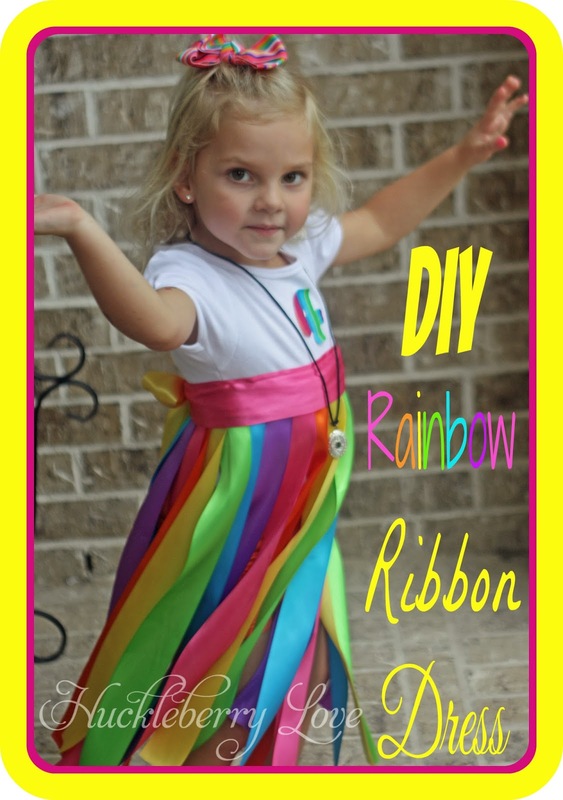 The rainbow bow that Jaydn is wearing was made using Jill's 5 Minute Boutique Style Bow tutorial. 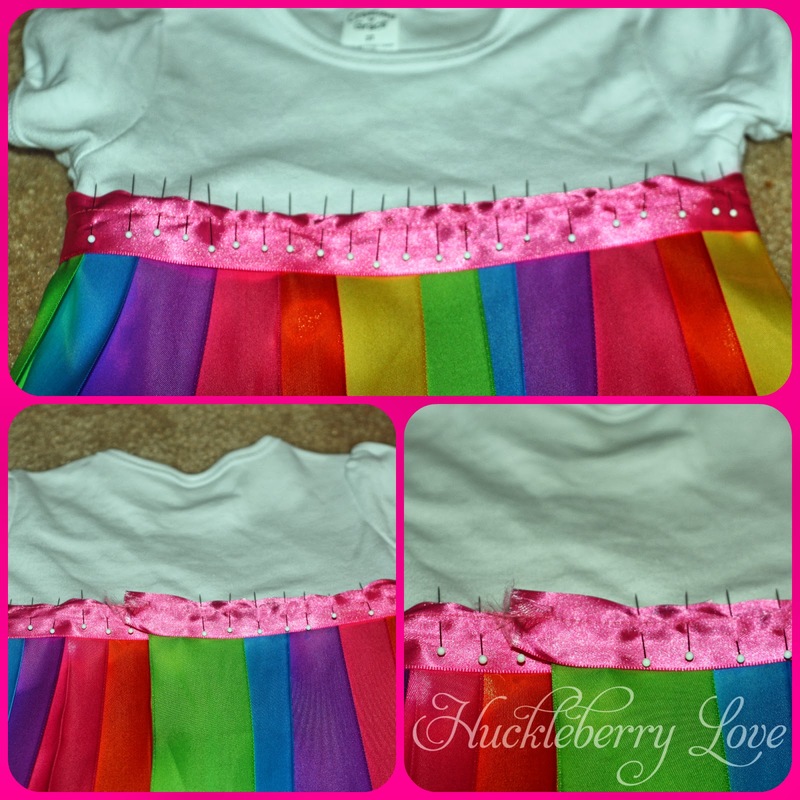 Do you like to make party outfits for your kiddos? This is adorable! I haven't made a party outfit yet, but I may have to now! Thanks Theresa. I'm sure your granddaughter would love this! So cute ! Pinning this for sure! Stopping by from A Little R&R link up. Thank you Winnie, I'm glad you like it!